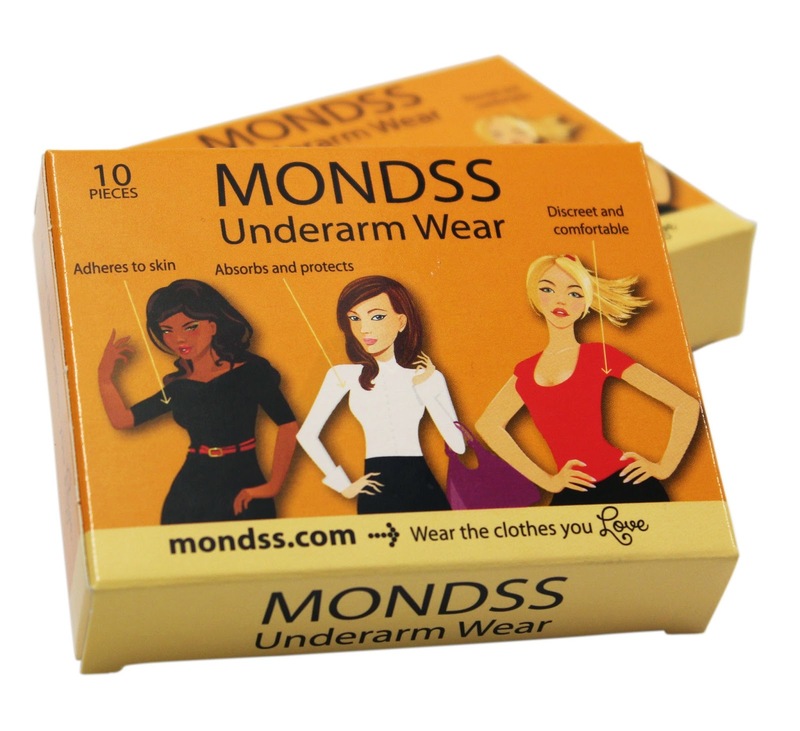 Hey lovelies, I was kindly sent an innovative beauty product from MONDSS Underarm Wear which has just been launched on the Irish market. The Underarm Wear is basically a large, uniquely shaped patch which adheres to your underarm to prevent those potentially embarrassing sweat patches. They’re particularly useful for events such as job interviews, presentations and big occasions where you do not want to show sweat patches and/or ruin your clothes with perspiration stains. MONDSS Underarm Wear box, press release photo. I only had to wait a week after receiving these through the letterbox (no need to be there for delivery!) to try them out. I had a job interview in London and knew I would be sweating more than usual with the stress, sticky tube travel, and wearing a full suit on a warm day! I was very slightly confused by the instructions, but after reading them through a couple of times, and following the diagrams I managed to apply the patches first time. At first it did feel strange, but I quickly got used to it. I did get clammy under my arm (I was really hot) but there were no sweat patches as far as I could tell! This made me feel much more confident going into the interview. Removal was simple and pain-free. I did get some residue left behind, but I did wear these longer than the recommended time of 4-6 hours. The baby oil trick did help a bit, but didn’t quite remove the residue completely. I only noticed some odour after removing the patches so they definitely kept any smell from leaking out. Overall, I was pretty impressed with MONDSS Underarm Wear. They cost ~£7.80 for 10 pieces, so they’re not ideal for everyday. However, for those stressful or special occasions, they are very useful to have handy! What do you think about this product? Would you give it a go? This entry was posted in Blogger reviews. Bookmark the permalink.